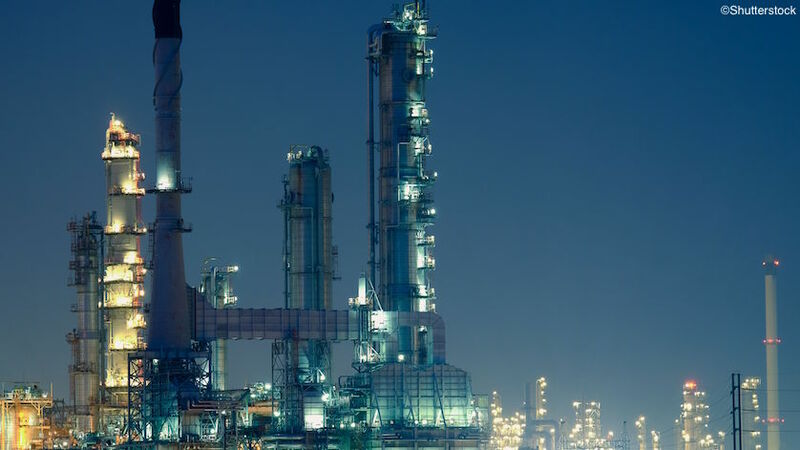 Refineries rely on accurate temperature measurement and monitoring for information about catalyst performance and remaining catalyst life. 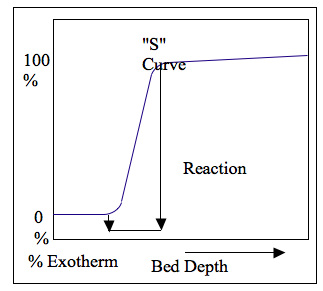 The key measurements in a syngas (synthesis gas) shift reactor are 1) approach to equilibrium temperatures and 2) exotherm temperature or “S” curves, and 3) % exotherm temperature curves. Accurate temperature monitoring is the most effective tool for tracking catalyst conditions and behavior in high temperature shift (HTS), sour shift, and low temperature shift (LTS) reactors. To improve catalyst performance and ensure safe operations, a refinery should measure the catalyst temperature to the outlet, and then plot the reading against the catalyst bed depth. Approach to equilibrium (ATE) for the outlet of a catalyst bed is the difference between the actual outlet temperature and the theoretical equilibrium outlet temperature for the outlet product composition. ATE is a good indicator of catalyst behavior. For example, an increase in ATE is a sign of catalyst aging. Accurate information about the composition and temperatures at the outlet will give a valid assessment of the ATE, which, in turn, will be a true reflection of catalyst activity at that temperature. An “S” curve is a good indicator of catalyst performance. “S” curves are good indicators of catalyst activity and can help predict catalyst events. The initial flat section at low temperatures represents little or no temperature increase and no reaction. It can be inferred that the catalyst is inactive. As the temperature increases, catalyst activity and the reaction rate sharply increase. The final flat section represents the part of the catalyst that is not yet necessary for the reaction. 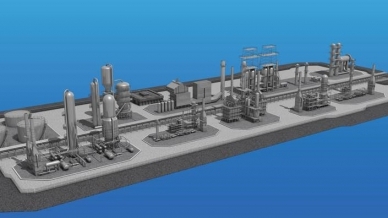 The greater the temperature measurement points, the more detailed profile a refinery will have of the catalyst’s performance and historical change. This data predicts how much catalyst life is left. By taking each temperature measurement point and expressing it as a percentage of the total exotherm (“S” distance), you minimize much of the noise affecting the data by the varying inlet temperature. 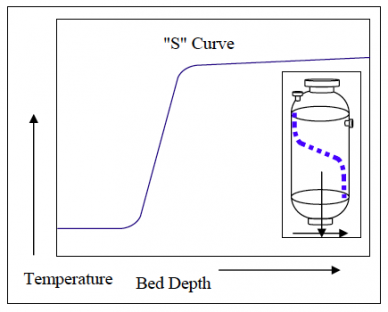 The temperature of the shift bed inlet may change over time, and straightforward temperatures may fluctuate too much to give a clear picture of what is happening in the reactor over time. The temperature profile of the total temperature change in the reactor — the exotherm —has proven to be more useful when tracking the performance of an exothermic, fixed-bed catalyst. Taking each temperature measurement point and expressing it as a percentage of the total exotherm also generates an “S” curve, but minimizes much of the noise affecting the data by the varying inlet temperature. The minimum catalyst volume for each particular reaction at each particular carbon oxide (CO) slip can be estimated from “S” exotherm curves. Since the temperature sensors (thermocouples) are located at known depths, the volume of catalyst between them can be calculated. Having more temperature measurement points will give better estimates. “S” curves plot all temperature measurement points at one particular time. Die-off curves plot each temperature point over time. They show changes in catalyst activity in a particular zone of the catalyst bed and are used to calculate die-off rates and remaining bed life, provided that conditions remain constant. This allows the bed life to be predicted to a high level of certainty. WIKA USA manufactures single sheath multipoint and flexible, independent thermocouple assemblies (Gayesco Flex-R®) that provide accurate temperature information to monitor catalyst conditions and behavior in syngas reactors. Contact WIKA’s expertsto learn more about how our temperature solutions can optimize catalyst performance in your application.